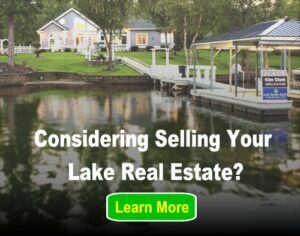 Lake Homes Realty is accepting experienced applicants for the position of Market Engagement Specialist. This person needs to be analytical, patient, and willing to follow team plans and processes. Yes, there are many creative tasks in this position, but it is not free-form work process. We are going places and we have to focus, focus, focus on results. Comfortable as a member of a High-Quality, High-Production Team of Professionals. Accomplished in Digital and Traditional Marketing. Proven in Engaging Consumers using Niche-Focused Content Marketing and Other Digital Strategies. Already Comfortable with Tech and Marketing being Very Intertwined, and MUST understand the Tech Side too. Implementing and managing digital marketing and SEO initiatives. Implementing and managing consumer sales funnels, including drip campaigns. Production (or coordination of production) of content (where “content” is articles, whitepapers, reports, and stories posted on the company website, as well as similar stories promoted and placed with small and national news outlets). Implementing and managing social media initiatives. Providing coaching to real estate agents for digital reputation improvements and brand consistency. Coordinating efforts with in-house software development team. Applicants with additional meaningful real estate related experience and/or professional journalism are given priority. This position is at the Lake Homes Realty corporate offices at 15 Southlake Lane, Hoover, Alabama (just 1 mile from I-65 at the Valleydale Road exit in Metro-Birmingham). To apply for this job please visit www.cultureindex.com.